Petra Cortright, deicideCHEMICAL_records.tbl, 2015. Digital painting on raw Belgian linen, 47 x 92.5 inches. Courtesy of the artist and Ever Gold [Projects]. 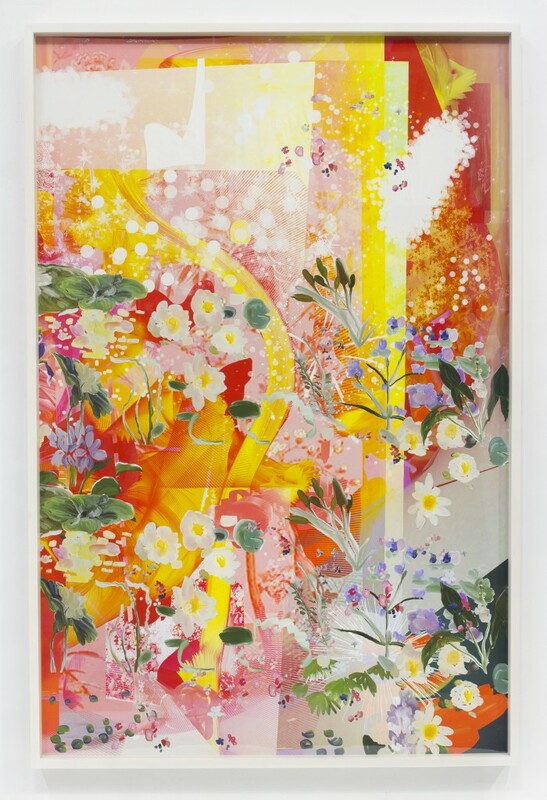 Ever Gold [Projects] is pleased to announce Zero-Day Darling, the first Bay Area solo exhibition from Los Angeles-based artist, Petra Cortright. 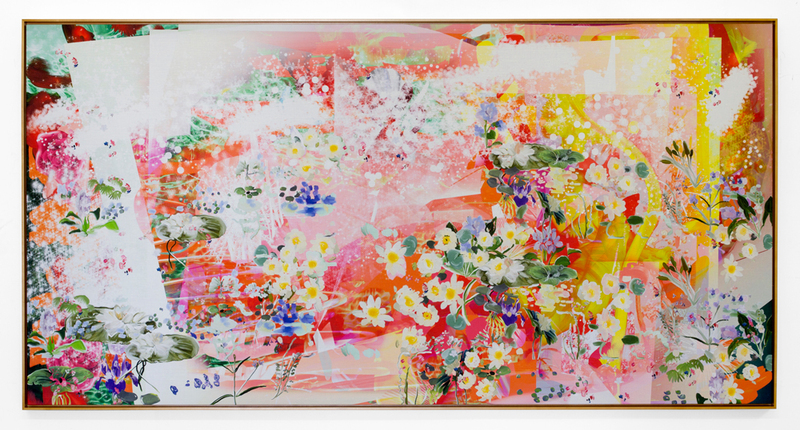 Cortright will be showing a new series of digital paintings created from a single master file of internet-sourced imagery. This marks the second exhibition for Ever Gold [Projects] in its new location at Minnesota Street Project and will be on view from May 13 through July 16, 2016 with an opening reception on Friday, May 13 from 6-9PM. The artist will be in attendance. 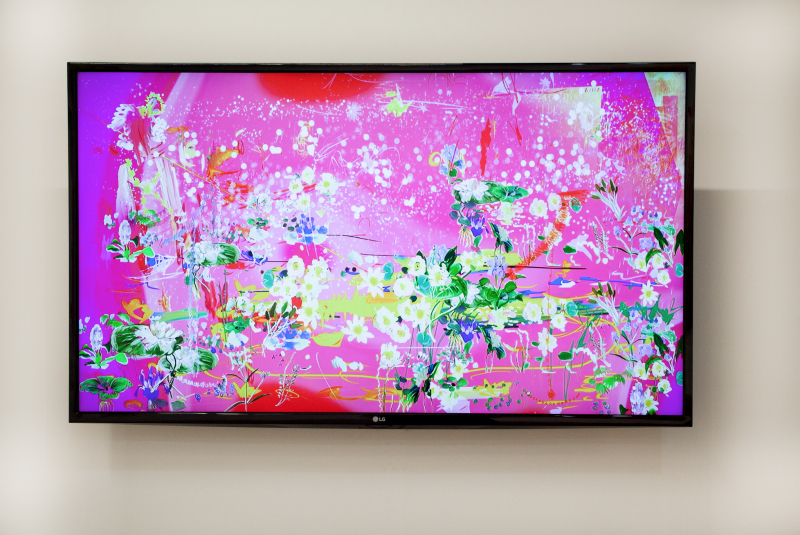 Petra Cortright first gained notoriety using YouTube as a platform to share video based works such as VVEBCAM (2007, which was later censored by the site), rgb-d-lay (2011) and bridalshower (2013). Acknowledged as an early contributor to post-Internet art, Cortright has since moved to the forefront of digitally based painting practices, developing its unique language in both analog and digital contexts and engaging in conversations around the history of painting and the influence of technologies on its evolution. Over the last few years, Cortright has been using Adobe Photoshop to make paintings, lightly hacking both the technology and the intended social use for this program—as an image-editing platform, Photoshop is frequently used to alter the appearance of women in photographs. Using websites like Pinterest, she sources colors, patterns, skin tones and other fragments of images. 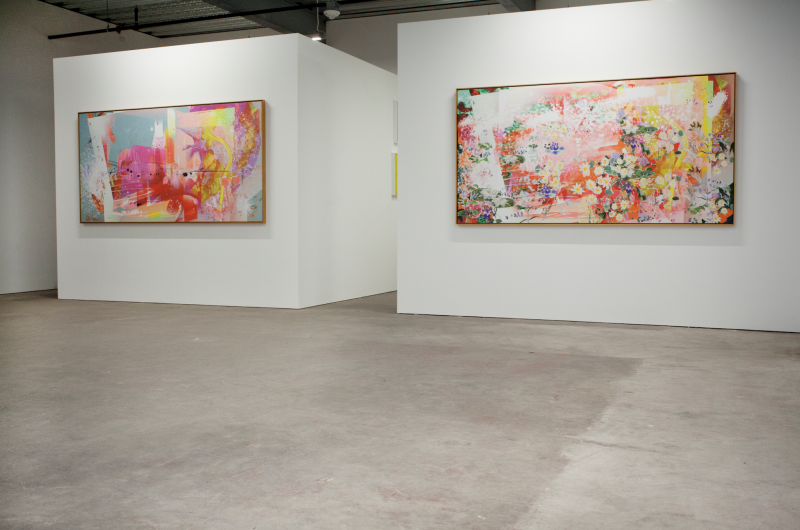 These elements are, then, integrated into the hundreds of abstracted layers that make up her work. This multidimensional process and hacking of visual language via technology was also a large part of her earlier video work, where she would “layer” software, manipulating the programs to create new visual effects and experiences. The works in Zero-Day Darling is a new series of large-scale paintings which are created from one master file, with the source color, imagery and brushstrokes based on found images online. 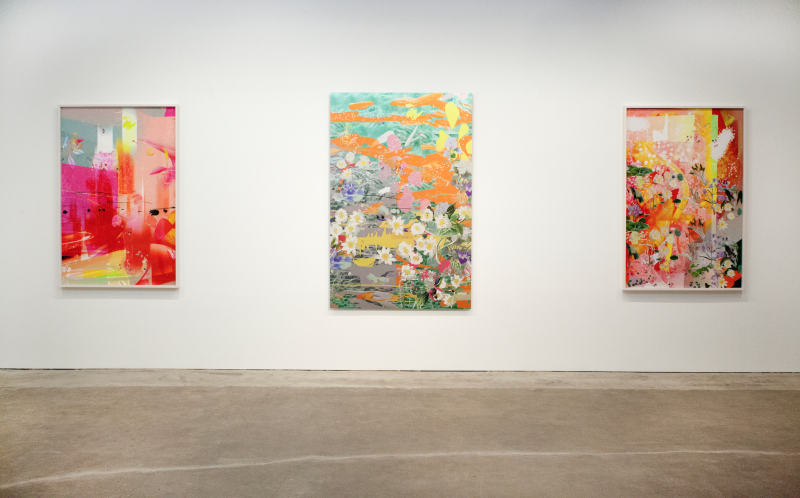 Cortright thinks of her initial process as a masculine painterly activity, acting as an abstract expressionist would when confronted with a blank canvas. Her pace is fast and frantic, and she is constantly multitasking, eyes darting across multiple screens. In a sense she gender-jams the source material, especially those images from Pinterest, which she notes is mainly geared toward females browsing dream weddings, houses and fashion. After building a new language of colors, brushstrokes and imagery, her process shifts toward a peaceful and relaxed style of working. This can been seen in her delicate flower paintings—often water lilies—set in compositions that reference traditional landscapes and nature scenes. She, then, takes this chaotic and abstract mix of source material and transforms it into a beautiful fluid master file. Here, her interest in the photographic comes back into play as she waits for a decisive moment, this time in a newly fabricated imagined space, to capture a still image. 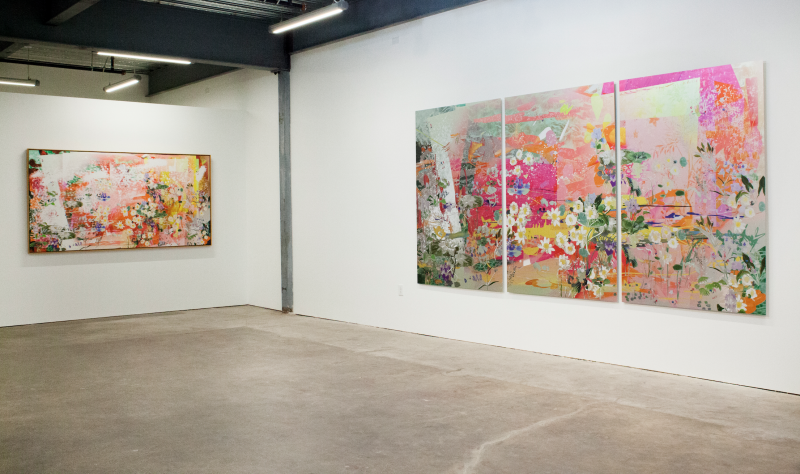 Cortright transfers this manipulated digital work to aluminum panels, linen or rag paper, depending on how the file and internal/external light will interact with substrate. Taking these factors into account brings the final physical work as close to the digital file as possible. 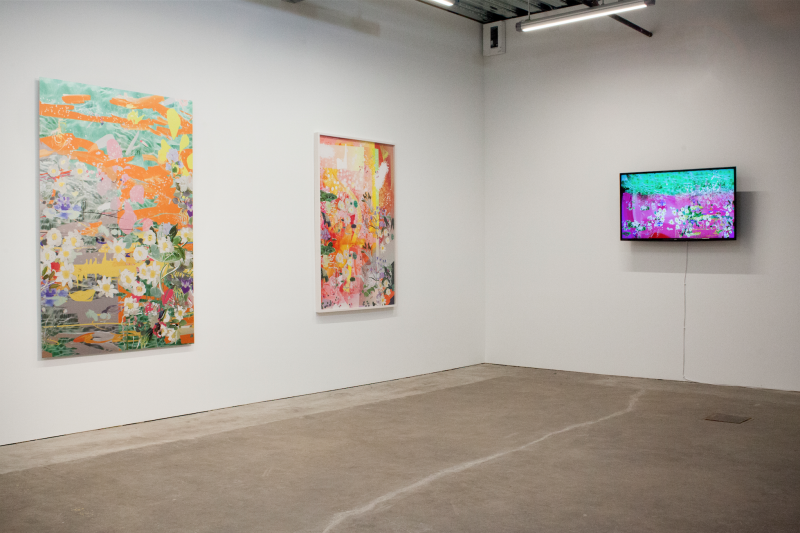 Cortright’s process of painting traditional picturesque landscapes through online source material is a way of reimagining the digital world, adapting the same explorative process painters have used IRL since movements like Impressionism, which suggested new visual depictions of light and color. These days the Internet is full of images that are reposts of reposts; ten years ago, most of the content on the web was original. The artist’s solution to this constant regurgitation is the development of a creative way to observe and engage with the never-ending explosion of online language. There is something powerful about taking a completely arbitrary image seen by over a million people and making it compositionally and aesthetically functional within a work of art. In essence, she is a landscape painter of the Internet, the site of the new human visual experience. The titles of her work are also a reflection of the immaterial space her work refers to, mashing up names from SEO (search engine optimization) lists and file extensions, such as:1872HRPR’SWKLLPHNTRPBLCNS_failsafes.SAB, deicideCHEMICAL_records.tbl andKRNKNKSSNBTRGVRGLCH_archive.LZ. This process of naming has been used in some of her past press releases and bios, and has gotten her banned from online platforms like LinkedIn and her work removed from YouTube. 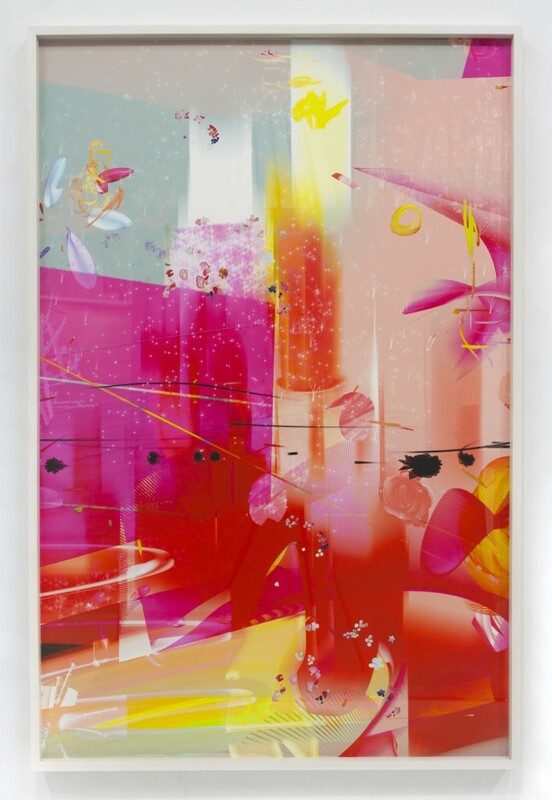 Petra Cortright (Santa Barbara, CA, 1986) lives and works in Los Angeles, CA. She studied at Parsons School for Design in New York City, NY and California College of the Arts in San Francisco, CA. Select exhibitions include: “Electronic Superhighway,” Whitechapel Gallery, London, UK (2016); The Metabolic Age, MALBA, Buenos Aires, Argentina; “On YouTube. Kunst und Playlists aus 10 Jahren,” Kunsthaus Langenthal, Switzerland; “Im Inneren der Stadt,” Künstlerhaus Bremen, Germany; Depart Foundation, Los Angeles, CA (solo); Foxy Production, New York, NY (solo) (all 2015); Société, Berlin, Germany (solo) (2014); Frieze Film, Frieze London, UK; 12th Bienniale de Lyon, France (both 2013); and Preteen Gallery, Mexico DF (solo) (2011). Ever Gold [Projects] (formerly known as Ever Gold Gallery, 2009-2015) is an exhibitions program under the direction of Andrew McClintock, which has been located at 441 O’Farrell Street in the Tenderloin district of San Francisco since its founding. Beginning in March 2016, Ever Gold [Projects] began programming at its new location, in the new Minnesota Street Project complex in the Dogpatch neighborhood of San Francisco. At the end of June 2016, Ever Gold’s Tenderloin location will permanently close.